Curious to join Team DQ? We’re looking for you! A young man and his wife, formerly high-school sweethearts, set out to fulfill a dream. Both had worked during high school at the local Dairy Queen ® – just like many of their current Team Members do now. Robert (Lee), 24 and Laurie (Lynn), 22 always dreamed of some day owning their own business. Who would have thought it would be able to happen so soon and with such degree of success! They moved to the Rio Grande Valley from Premont, TX and went into business by purchasing their first Dairy Queen ® in Pharr, TX. in March of 1987. 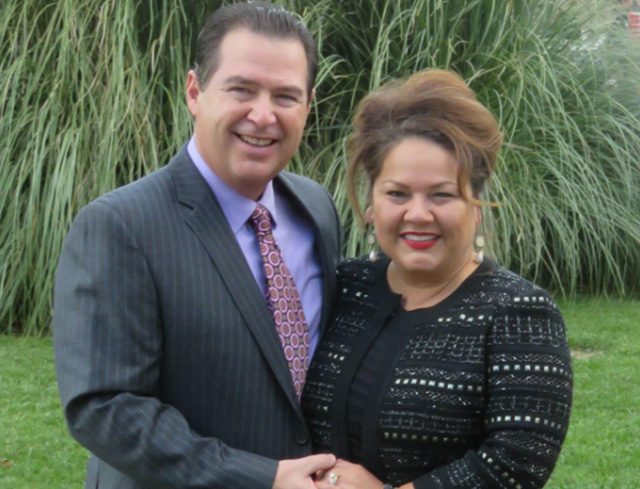 Robert met Laurie in Premont, Texas where he moved when he was a sophomore in high school. He met his future girl friend, business partner and life partner during the summer of his junior year. Prior to moving to Premont, Robert lived in Beeville, Texas where he was raised by his paternal grand parents. It was here that Robert would be molded into the person he was to become. Growing up at 1301 S. St. Mary’s was full of life lessons that would serve Robert later in life. An average student, but not usually one to get into trouble or make trouble, Robert passed his time attending school, playing after school pick up games of what ever sport was in season, helping out around home and always having a job. Robert learned the value of a good work ethic and earning his own money early in his life, where his grandfather would take him at a very young age to help him with his electrician’s job. Soon Robert was on his own having his own lawn mowing job and delivering the local newspaper. At age 14 Robert got his first real job (because they wrote out payroll checks) working at the local bowling alley. School was a relatively easy walk at about 1.5 miles but work would be a bit more difficult at about 5 miles. His family members took time to take him until Robert saved enough money and borrowed a small portion from his grandpa to buy his first car. He always wanted a motorcycle but he learned the valuable lesson of thinking things through practically when he decided to get that 1969 Chevy Impala for the whopping sum of $600.00 instead of that Yamaha for $650.00. That was an awful lot of money but was very well spent as this car not only was his work car at age 15 but later took him back and forth to not only high school but through college as well. While many people helped to provide for and raise Robert, money was not handed out by any of those he came in contact with. Everywhere he turned however, there seemed to be another life lesson, about honesty, integrity, perseverance, kindness and other such traits that became qualities that he and others could equate with success. During high school in Premont, his most memorable and lasting job among many, was working for the Bowens at the Premont Dairy Queen. Laurie was raised in Premont by loving parents. They lived first in a mobile home out at the ranch and then moved into town into a one bedroom house where she, along with her 5 siblings, was raised. She was actively involved in many school activities including being in sports, band and head cheerleader. She took her first job at age 16 working at the local Dairy Queen. After working there for less than a year she was promoted to shift leader and at 17 became the youngest Assistant Manager in the DQ business. Laurie worked hard to save money and prepared to help Robert get to college. Even at a very young age she was always disciplined and was looked at by family and friends as a leader. College had not been an option for Robert since no one in his family had ever gotten a degree. It was a fateful trip to San Marcos with his high school best friend (Ronnie Bowen) and the urging of that same friends mother (Jennifer) that got him to thinking about college. How would he pay for it, was all Robert could think about. If you really want it bad enough, YOU can make it happen. These were valuable words that came to Robert from more than one source. His grandfather, Mrs. Bowen, every sport hero he ever had, always taught, YOU can make it happen if you want it bad enough. Robert in fact did go to college where he graduated from the Southwest Texas State University with a degree in Business. After nearly flunking out his first semester his then girl friend, Laurie reminded him what they had learned a few years prior, “If you want it bad enough YOU can make it happen. He went back the next semester and made all A’s from then on and went on to graduate with honors. Laurie also attended college going first to Bee County Jr. College and then went on to school in San Marcos after Robert graduated and they were married on June 2, 1984. As Laurie attended school, Robert worked for the State of Texas as a Business Computer Programmer and later went back to work for his high school friend’s parents. That same mom (Jennifer) that pushed him to go to college and taught him to dream a bigger dream became their employer as both Robert & Laurie went to work for them, Laurie in the DQ in Castroville, Tx. and Robert running a chicken store in Hondo, Tx. It was working for them, Bob & Jennifer Bowen, where Robert & Laurie learned about running a business. After working two years with them they moved to the Rio Grande Valley where they live now and continue to build on their dreams with their children Lensda Lee ’88 and Robert Agustin ’92. In pursuit of their dream, many obstacles had to be overcome. 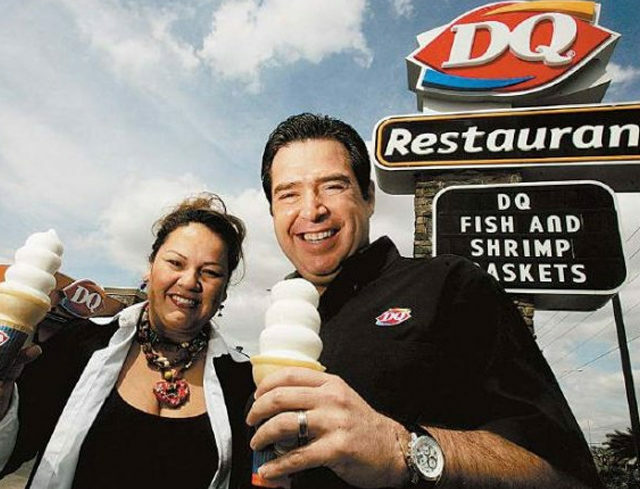 One of the major obstacles faced by Robert and Laurie was the fact that they were purchasing their first Dairy Queen® which had the worst business reputation in the state of Texas then in 1987. 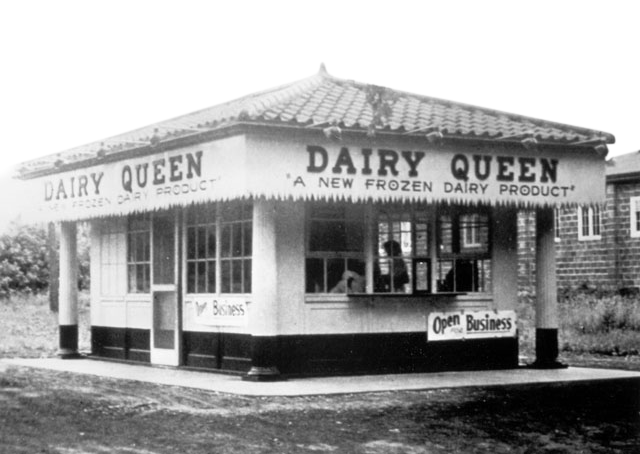 This Dairy Queen® had made $46,000 in sales the year prior to their purchase, while the DQ ®nationwide average was $400,000 per year then. Robert and Laurie could not get the bank to lend them money no matter what they did. 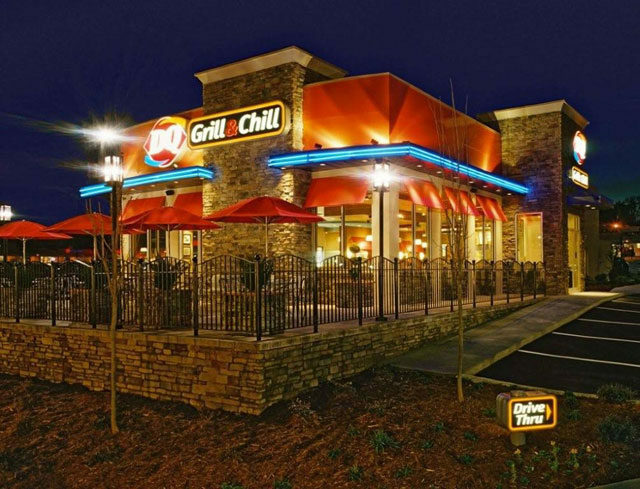 They turned once again, to close friend and business mentors Bob & Jennifer Bowen, who helped by co-signing papers for the loan they needed to buy their first DQ. Keep in mind; it was with a bank 130 miles away from their store where they were finally given the opportunity to fulfill their dream. Fortunately this story has a very happy ending. The obstacle of making the worst Dairy Queen® into one of the best Dairy Queens® took a lot of time and effort. Countless hours were spent by Robert, Laurie, and many dedicated Team Members passing out coupons, knocking on doors inviting people to their Dairy Queen®. Once the people were there, the whole team took pride in making the customers feel at home, learning their names, and keeping the restaurant very clean. Several of these original Team Members are still with Team DQ® today! Robert and his wife Laurie, now own many Dairy Queens throughout Texas and are proud to have their children Lensda and Bob involved in their family business. Remember, the restaurant that could not go? Well, now it produces in one month what it used to produce annually and has received International Dairy Queen’s top honor as a Quality Purity Award recipient. Their restaurants combined will make one of the largest independent employers (based) in the Rio Grande Valley. At the beginning, Robert and Laurie wore all the hats. They were the accountants, cooks, managers, maintenance workers, etc. They now employ (over) 600 TEAM MEMBERS, several of which are key Team Members that help to keep the DQs® a success. Also, remember the bank that would not lend Robert any money? Robert went on to serve as one of the Board of Directors at the bank, being one of the largest depositors. 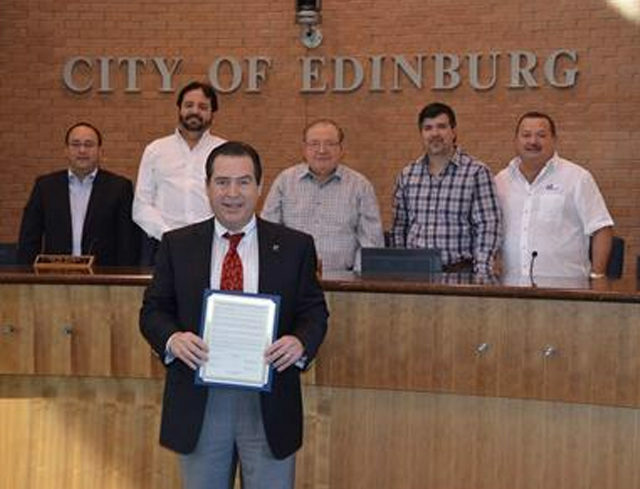 Presently he is Chairman of the Board of Greater State Bank which recently opened branches in the Rio Grande Valley and is also on the rise. Truthfully the story has not ended. Robert and Laurie say it’s a never-ending story – one that they, together with their children and their dedicated Team Members, will continue to add to. You too can add a page or chapter to the story as a future Team Member or valued Customer. We would love to get to know you. See you at the Dairy Queen, “The Best Treats and Eats in Texas”.